Julian Jackson lost his sight in 2010 as the result of an inherited retinal condition. Since then he has become a visual impairment champion. 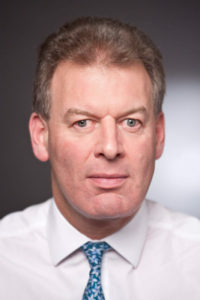 He has worked with a leading eye research organisation and, through his own social enterprise, VisionBridge, campaigned to bring sight loss and the need for more research to public awareness. 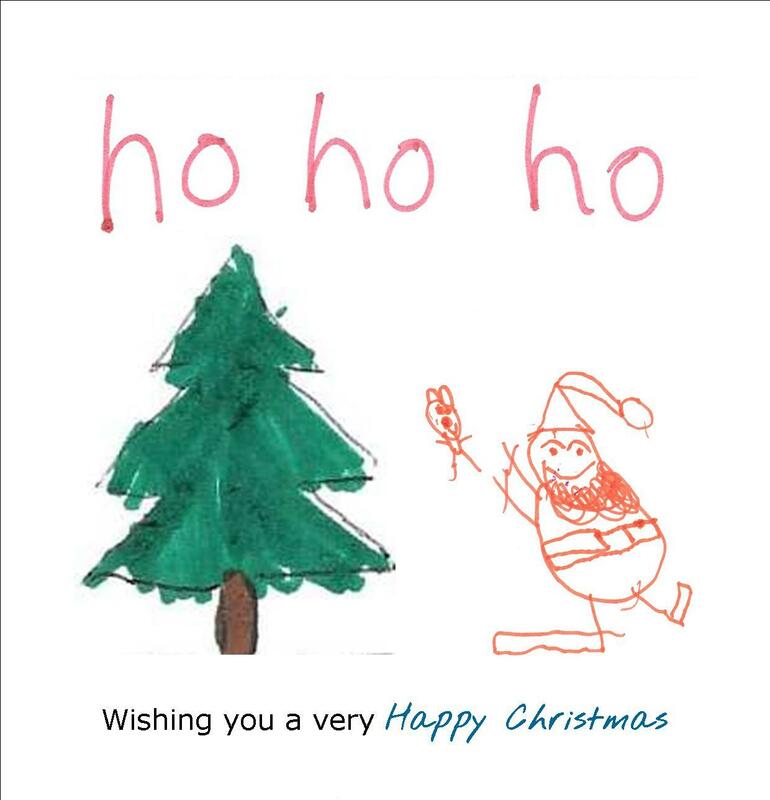 His work has gained momentum and he is now partnered with researchers, eye health professionals and members of the visually impaired community across the UK. 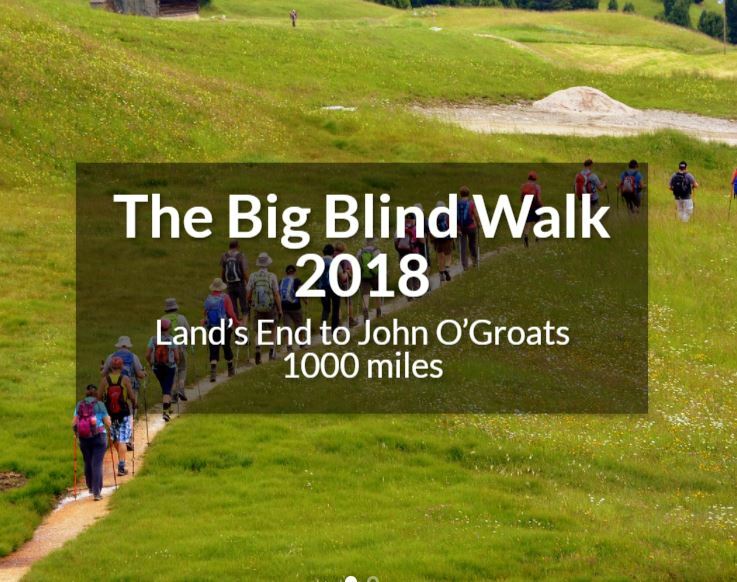 What is the Big Blind Walk? Julian is seeking to raise awareness of and funding for sight research, for too long seen as a ‘cinderella’ branch of medicine. He has previously tandem cycled from John O’Groats to Land’s End, but this year he plans to walk back along the entire 1,000 mile route, from the bottom to the top of the UK. He thinks it will take him around 7 weeks. He will set off from Cornwall on Sunday 29 April, when the BBC1 Countryfile team will be there to film him. If all goes to plan, Julian hopes to arrive in the far north of Scotland by around 22 June. Why is the Nystagmus Network supporting Julian? 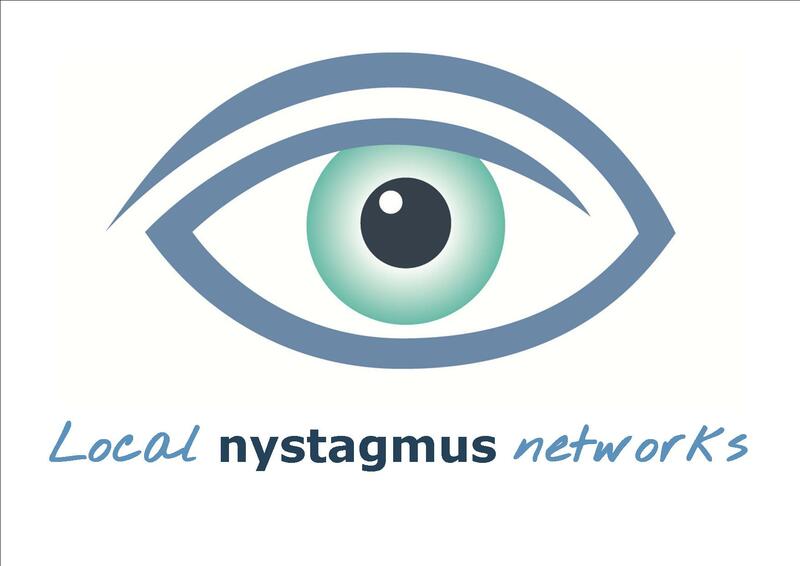 The Nystagmus Network promotes and funds research into nystagmus, but we are only a small charity with limited resources. If we support Julian to raise the profile of vision loss and the need for research, as well as a large pot of money which eye sight researchers can bid for, we can all benefit. In support of Julian’s endeavour, the Nystagmus Network is asking members of the nystagmus community simply to get out there and cheer Julian on. If you live close to Julian’s route, you can follow his interactive map to find out when he’s passing by. Why not walk a section with him? He would be very glad of the company. If you’re planning to walk with Julian, please let us know and we will send you a Nystagmus Network T-shirt to wear. 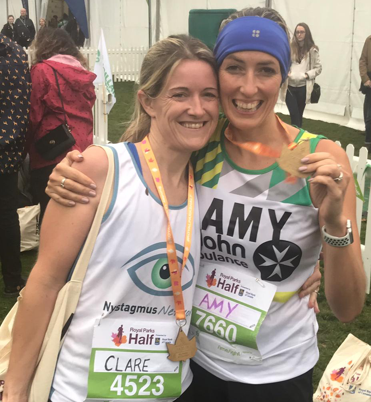 It will make it easier for you to meet other people affected by nystagmus in your area, help Julian publicise his walk and raise awareness of nystagmus, too. Previous Previous post: Do you use audio description to watch TV?